A few weeks ago when we were visiting my in-laws, I needed a filling breakfast idea but something that was easy. 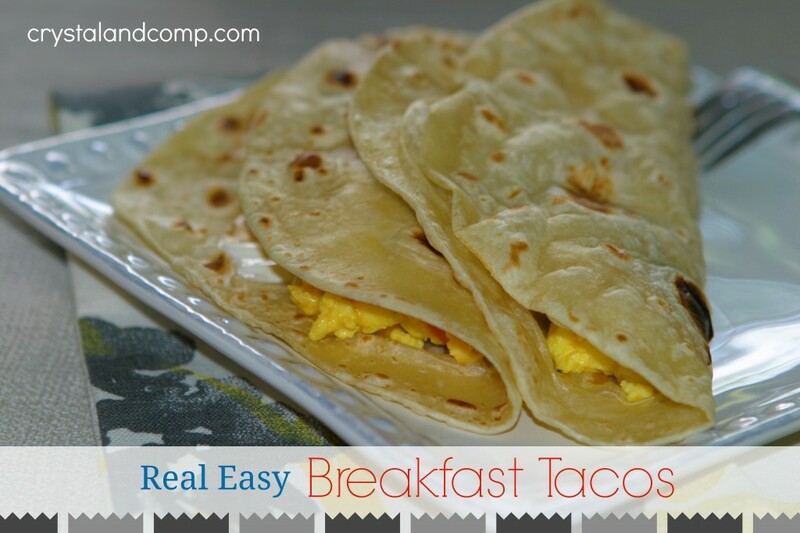 These breakfast tacos are so simple and so delicious and so filling. You’re going to love them! This version is a potato, egg and cheese version, but the beauty of this is you can really customize it. What I also love about this recipe is that it can be eaten different ways depending on who is eating it. For example, my youngest is four years old and he prefers his eggs and tortilla are separate. Done. I am going to show you how quickly this comes together. If you’re looking for more real easy recipes, check out my entire index of ideas while you’re here. 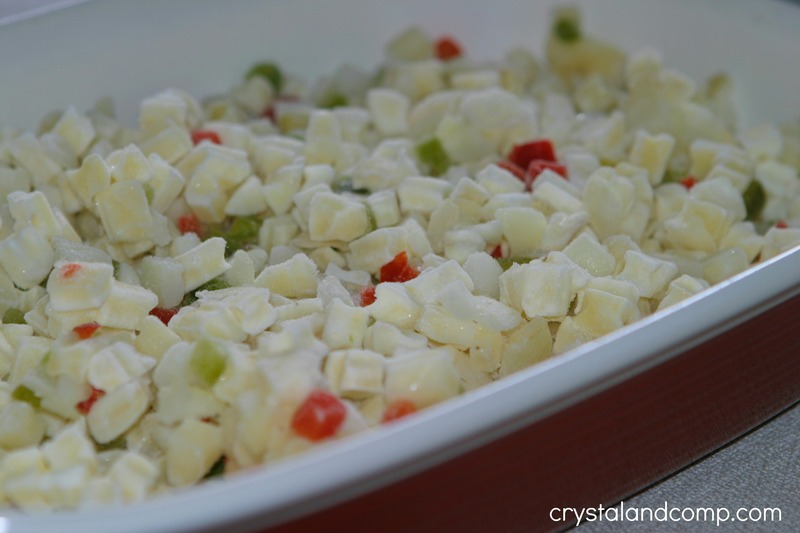 Put the entire package of frozen potatoes into a 9×13 casserole dish that has been sprayed with cooking spray to prevent sticking. Pop them in a 375 degree oven for 30 minutes. 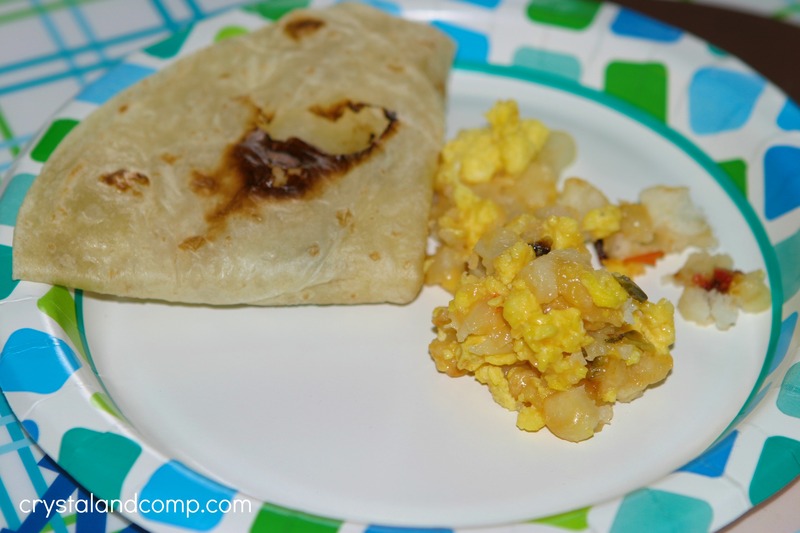 While potatoes are cooking, heat up your tortillas on a griddle. I buy the refrigerated kind. Once you eat these you will never buy them any other way even if your bakery makes them fresh. These are amazing and perfect and cook in 60 seconds. 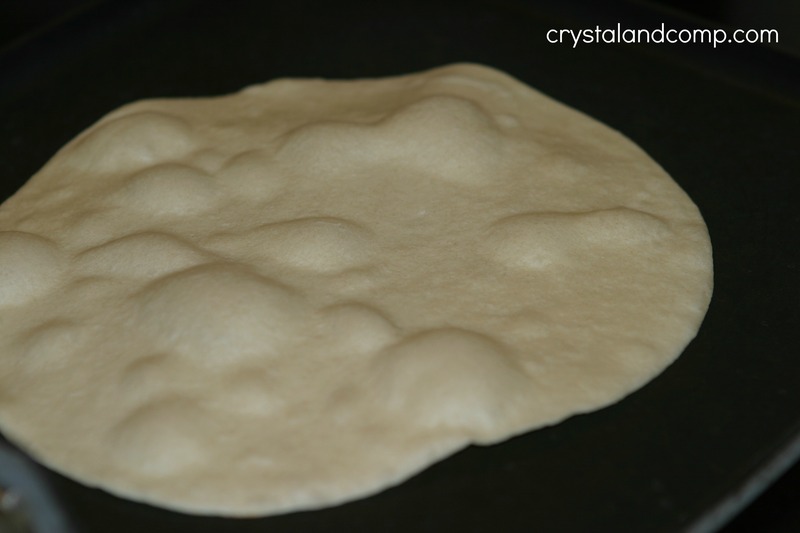 If you are buying pre-made tortillas, go ahead and heat them up on a griddle one at a time until lightly browned as well. 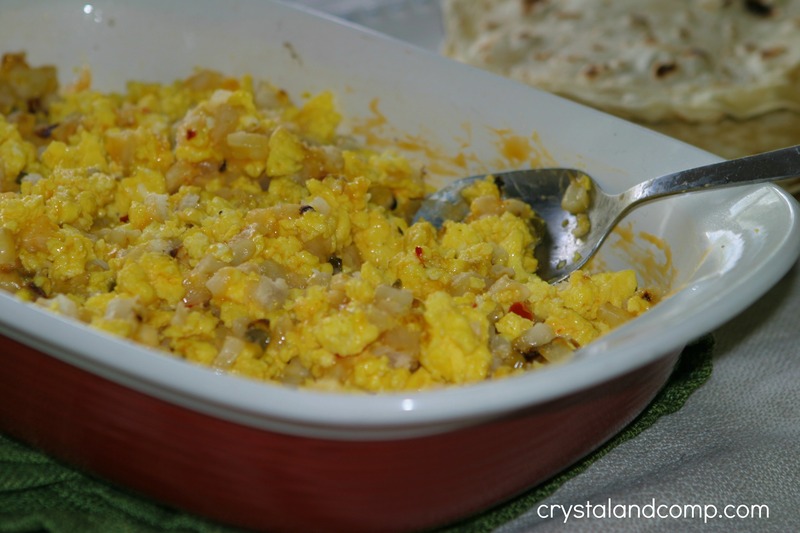 Once you have heated all of the tortillas, prepare your eggs. In my scrambled eggs I do 12 eggs, 1/4 cup of milk and salt and fresh cracked pepper to taste. When the eggs are done the potatoes will be done. 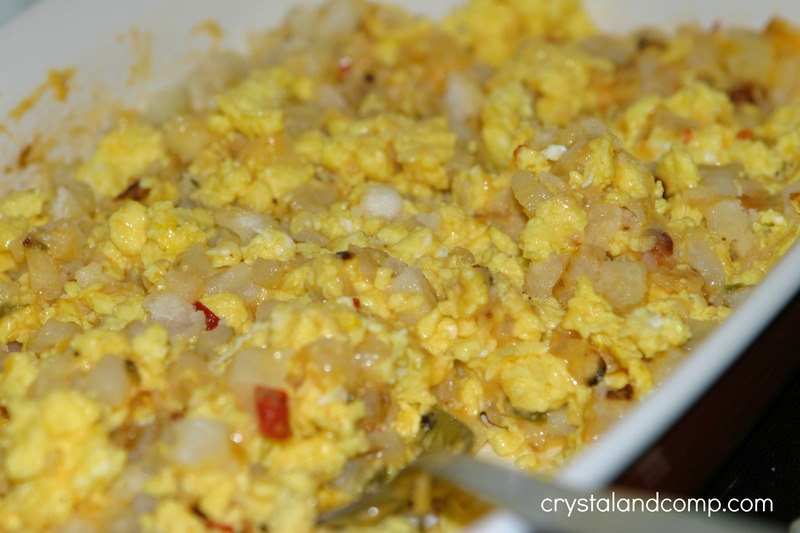 Add the scrambled eggs to the potatoes. Toss in the shredded cheese too. I do 2 cups of cheese. 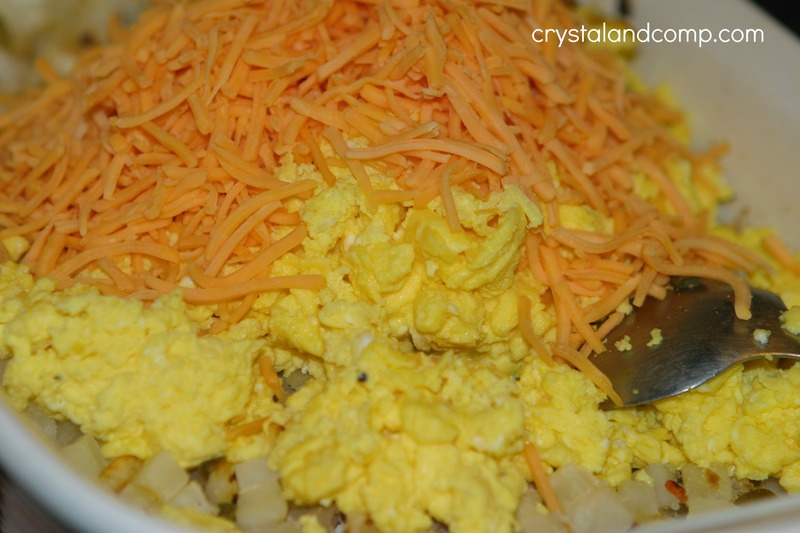 Mix the eggs, cheese and potatoes well to coat everything with melted cheese. 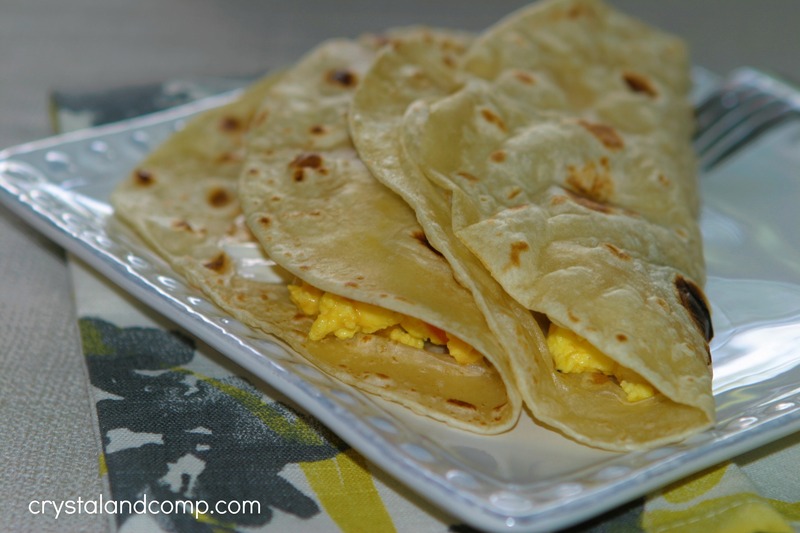 Have your warmed tortillas handy. 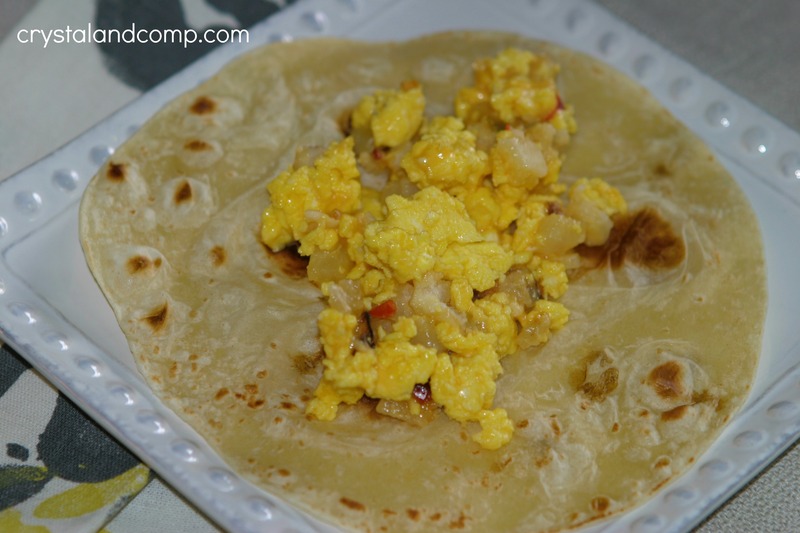 Scoop a few good spoonfuls of the egg and potatoes mixture into the tortillas. I love sour cream and salsa (and fresh pico if I have it). Fold the tortillas over and you have a taco. And I love how easy it is to customize for those who do not want their food touching. You could easily add crumbles of cooked bacon to the potato and egg mixture or cooked breakfast sausage. We were able to get 12 tacos out of this. If you have leftovers, put the eggs mixture in a ziplock in the fridge and then reheat the eggs and tortilla separately in the microwave. Then fill the tortilla. It will taste just like you made it fresh. I also love the idea of cooking this up and making the tacos individually on busy school mornings. This could easily serve as breakfast for a couple of days. 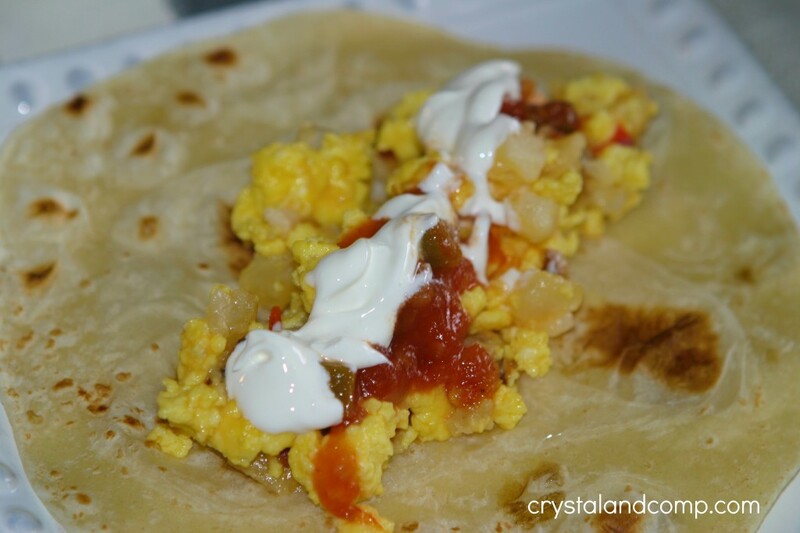 Crystal, I love breakfast tacos! 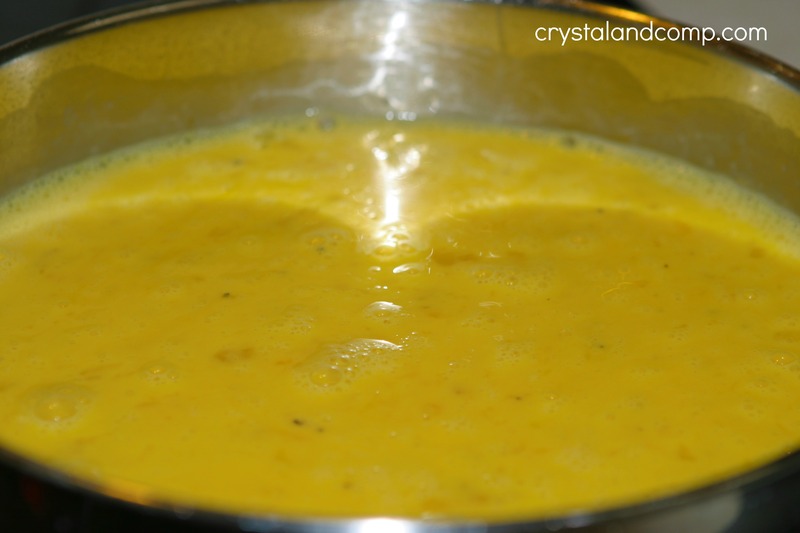 This would be the perfect easy recipe to make on a lazy Sunday morning. I’ll be sharing this recipe on FB, Twitter & Pinterest. Thank you so much for linking up to Wake up Wednesdays!! You’re so awesome, Meghan. Thank you so much for sharing!